Green Arrow Reading Order | Where To Start? Green Arrow has seen a resurgence in the 2010’s through the initial popularity of the CW’s Arrow. Check out the full quiver of Green Arrow comics in chronological order below! Jack Kirby never ceases to amaze. Just when you think you know one of Marvel’s founding fathers, and the creator of a little DC villain called Darkseid, you realize he also wrote, drew, and inked a whole bunch of early Green Arrow stories in Adventure Comics. There’s a reason he’s the king! The first time Green Arrow joined the Justice League, collected here in Justice League of America #1 to #16. Green Arrow first appears in issue #4. This collection overlaps a bit with the Kirby and JLA collections, but gets you a broader variety of early Green Arrow comics, namely World’s Finest Comics #95 to #134, #136, #138, and #140. Oliver Queen insists Hal Jordan, Green Lantern and protector of Earth’s quadrant, stays on Earth a while to deal with real social issues and human problems. All told, collected issues include Green Lantern #76 to #89. This three issue miniseries is everybody’s favorite Green Arrow, and for good reason. The grim and gritty influence of the 80’s has had a long and pervasive reach, but it’s stories like The Longbow Hunters that remind you when it worked, it worked wonders. Aside from being out of this world comic book work from Mike Grell, The Longbow Hunters is also one of the strongest examples of Ollie’s relationship with Black Canary. This Frank Miller Batman graphic novel is a Batman story through and through, but I include here because Green Arrow is one of the few DC heroes who gets to make a positive contribution to my 8th favorite comic of all time. Worth noting that this is out of continuity! This will take you through the first 53 issues of Mike Grell’s remarkable run on Green Arrow following DC’s Crisis on Infinite Earths . In the late 90’s and early 2000’s, filmmaker Kevin Smith resurrected both Daredevil for Marvel Comics and Green Arrow for DC. 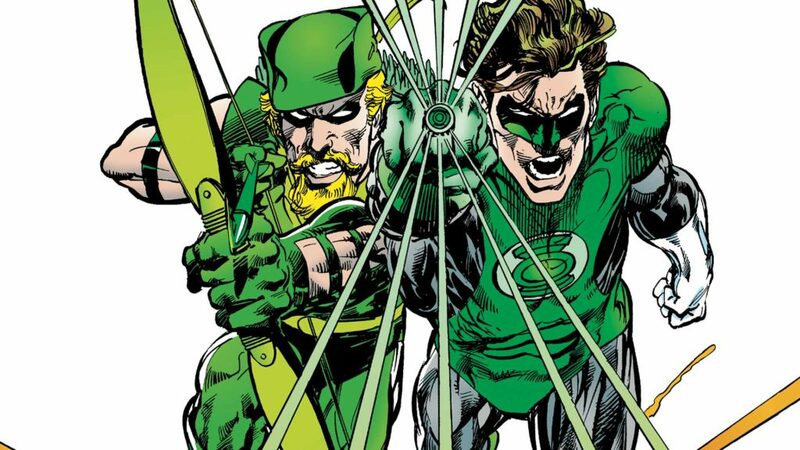 Smith’s first arc on Green Arrow, “Quiver,” literally brought Ollie back from the dead, explained Hal Jordan as Parallax, and gave me my first ever reason to think Green Arrow was actually pretty cool. The above will take you through Green Arrow #39, and arcs by novelist Brad Meltzer, and Exiles writer Judd Winick. More of a Justice League story, although Green Arrow plays a major part. This is Brad Meltzer’s 2000’s murder mystery and attempted deconstruction of everything you thought you knew about the Justice League. A follow-up to Identity Crisis from Geoff Johns and Allan Heinberg. Collects JLA #115 to #119. Following Green Arrow #75, DC’s collected Green Arrow jumps to a team-up Green Arrow/Black Canary series. Collects through Green Arrow/Black Canary #30. I’ll note first that if you want the whole thing, you can check out Comic Book Herald’s complete DC New 52 reading order. Just the Green Arrow New 52 books are listed below. Many fans recommend starting with Jeff Lemire’s run, which begins with Green Arrow Vol. 4, but to each their own! This isn’t actually a part of the New 52 but the solid Andy Diggle and Jock Year One serves as an effective starting place for the new Ollie, and is a big inspiration for TV’s Arrow. The above volumes collect Green Arrow #1 to #51 and Green Arrow Annual #1 from DC’s New 52. 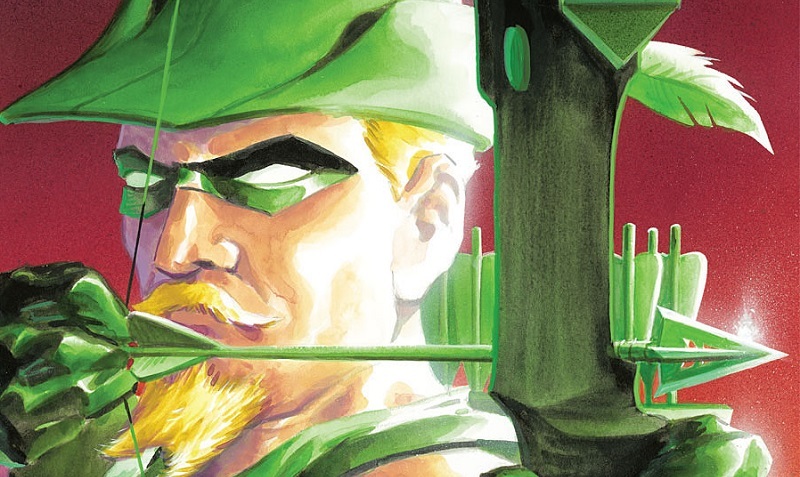 That’s it for Green Arrow – Want more DC Reading Orders? I’ve only ever read the Longbow Hunters and maybe 20 or so issues in the subsequent run. It’s fantastic! If you read nothing else you will hold Green Arrow in high regard and weep that the TV show didn’t simply adopt this storyline. Ollie is my favorite male DCU super-hero, but I’m very particular about how he should be portrayed. Finally, a couple of minor omissions I noticed: the first three Denny O’Neil/Mike Grell issues from when Green Lantern/Green Arrow re-teamed in the mid-1970s (Green Lantern 90-92), and the Mike W. Barr/Trevor Von Eeden Green Arrow 4-issue mini-series from 1983. Neither of the above are absolutely essential, but they’re both decent reads and will probably never be collected, so they’re worth seeking in the bargain bins. I was just looking for GA reading orders when I saw this, and thought I would have to skip out on Ollie until New 52. Thanks so much for making this!